Ferry Beach State Park, Saco, Maine. 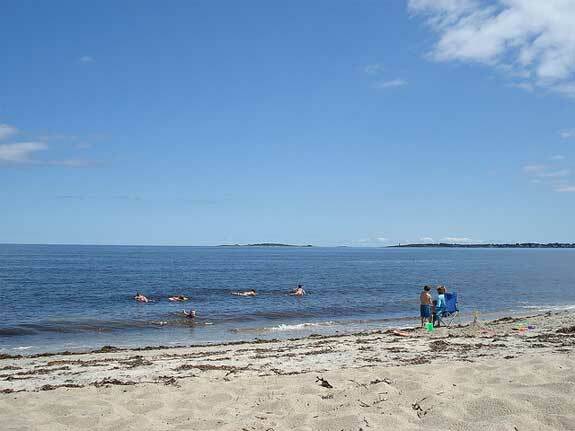 Ferry Beach State Park (95 Bayview Road, Saco; 207-283-0067) encompasses 117 acres between Pine Point and Saco River. This park offers miles of white, sandy beaches, perfect for clamming, swimming and beachcombing. The park offers a picnic area, guided nature walks and a bathhouse. Ferry Beach is open year-round, but leave Fido at home from April 1st through September 30th. Entrance fees start at $4 for adult Maine residents, $6 for non-residents, $2 for seniors, and $1 for children ages five to 11. Vaughan Woods State Park (8 Oldfields Road, South Berwick; 207-490-4079) features 250 acres of forest along the scenic Salmon River. Spend an afternoon hiking or riding horseback through the old-growth hemlock and pine on the 3-mile loop trail, and pause to rest by the 25-foot Salmon Falls. Leashed dogs are allowed. The park is open from Memorial through Labor Day. Entrance fees start at $2 for adult residents, $3 for non-residents and $1 for seniors and children.